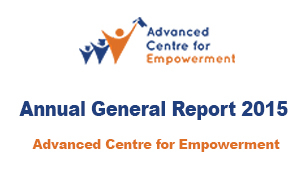 The Advanced Centre for Empowerment (ACE) is an independent, local NGO founded in Phnom Penh, Cambodia in February 2009 and registered with the Ministry of Interior in May 2011. ACE was founded by Mr. Saing Sokchea, an experienced leadership trainer. Sokchea spent several years providing leadership training to youth and adults in slum areas such as Dey Krahorm, Beoung Kak Lake and Andong in Phnom Penh, as well as in many remote areas across Cambodia. After many years of dreaming about establishing a leadership training centre, he was finally able to establish ACE in 2009. The Advanced Centre for Empowerment currently runs four projects with 11 staff and 19 volunteers, serving hundreds of children and adults across Cambodia, especially in the slums communities in Phnom Penh. To empower a new generation of young Leaders in Cambodia. To empower our youth to be tomorrow’s leaders for a brighter Cambodian future. Advanced Centre for Empowerment (ACE) reaches into the local slum communities and provides education, training, and work experience to disadvantaged children and youth. From providing English lessons for slum children to providing accommodation and leadership skills to university students, ACE has a holistic approach to advancing the abilities and opportunities of Cambodia’s future leaders. ACE’s four main projects include two schools in poverty stricken communities, a Dormitory and Leadership Training Centre for promising and talented young adults, and a training and personal development project aimed at young professionals, called the Weekend Training Program. Our core values guide each member of our team in their interactions with each other, with external stakeholders, and with the communities that we serve. These values underpin how we do things and shall not be compromised. Perseverance; we shall not be afraid of failure and shall take on challenges. Respect; we shall treat every individual in a way that we wish to be treated. Action; we will not just talk, we will take action. Independence; we shall promote the right for each individual to express their thoughts. Sincerity; we shall do things from the heart and with passion.